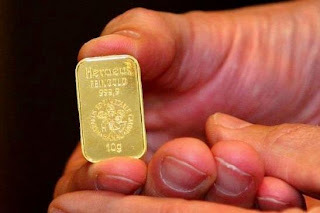 Itsy Bitsy gold bars are all the rage in Switzerland with private investors who are keen to queue up and buy gold in the form of small credit card size bars that can be broken up into bite size chunks as emergency payments. The Swiss refinery Valcambi, part of the U.S. mining giant Newmont, is keen to bring its bite sized "CombiBar" to, not only Switzerland, but also the United States and India, the worlds largest gold buyer. More and more people are buying gold it seems. 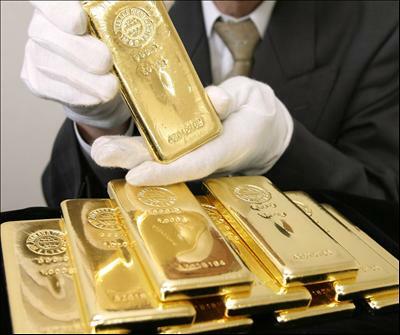 According to the World Gold Council, sales of gold bars and coins were reached $77 billion in 2011, up from just $3.5 billion in 2002. "The rich are buying standard bars or have deposits of physical gold. People who have less money are buying up to 100 grams," said Michael Mesaric, CEO of Valcambi. "But for many people a pure investment product is no longer enough. They want to be able to do something with the precious metal." Mesaric said the advantage of the "CombiBar", dubbed the "chocolate bar" because pieces can be easily broken off by hand into one gram squares, is that it can be easily transported and costs less than buying 50 one gram bars. Valcambi is now building a sales network in India with plans to launch the CombiBar on the U.S. market next year. Meanwhile in Germany demand is strong, "Above all, it's people aged between 40 and 70 that are investing in gold bars and coins," said Mesaric. "They've heard tales from their parents about wars and crises devaluing money." Andreas Habluetzel head of the Swiss business of Degussa, a gold trading company said, “The CombiBar is particularly popular among grandparents who want to give their grandchildren a strip of gold rather than a coin and Demand is rising every week," Habluetzel continued, "In Germany, people are buying gold in the fear that the euro will break apart or that banks will run into problems." As developments in the euro zone lurch from one crisis to another, the demand for gold that can be sold in vending machines is also growing. It seems that itsy bitsy gold bars are all the rage not just in Switzerland but all over Europe and Asia for people that want to buy gold. It appears the Central Banks are secretly returning to the gold standard, giving substance to the evident failure of President Nixon’s action in 1971 on the then Bretton Woods global financial exchange system. Since the gold standard was removed massive printing of paper money and spiralling inflation, has resulted in the global financial situation we now find ourselves. Perhaps the central banks have realised this, or it may be a case of shoring up the diluted liquidity of their massive currency reserves. 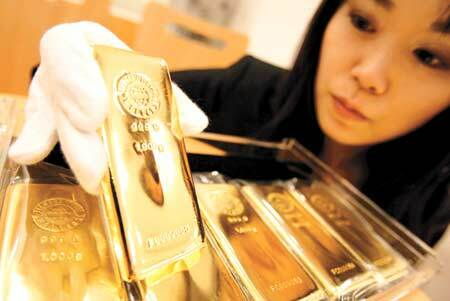 Starting in 2010 central bank gold purchases jumped to a then all time high of 455 metric tons. The biggest buy gold by central banks since 1964. Banks have raised the gold capital adequacy ratio* to Tier One so gold is now viewed as a core capital of equity and disclosed reserves. Originally it was Tier Three, with a 50% risk weighing. The Basel Committee for Bank Supervision (or BCBS) met some months ago and decided that gold should be made a Tier 1 asset for commercial banks with a 100 percent weighing instead of the existing Tier 3 with just 50 percent weighing. A monumental step in restoring a gold standard. We are seeing the results of this in the gold market place with Turkey purchasing 6.8 tons in September, and Brazil buying gold again after four years. 1.7 tons in fact. Other countries aggressively buying gold include: South Korea, The Philippines, Kazakhstan, Russia, Mexico, Turkey, Argentina and the Ukraine. According to a recent World Gold Council report, gold rose by over 11 percent and is up 16 percent on a yearly basis, outperforming almost all the worlds’ stock markets. To illustrate the point here are the top twenty central banks gold holdings for 2012. Although many are reticent about how much gold they are buying, many of these above have added or are supplementing their gold reserves. In particular China and India. Both of whom have added hundreds of tones of gold to their reserves over the past couple of years. 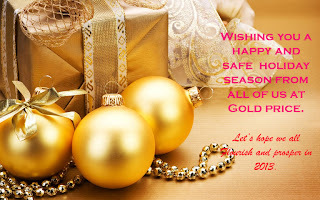 In fact some analysts believe there has been consistent gold buying over the past 2 years by many Asian countries. “The thing that’s caught people’s minds is the massive increase in Chinese buying,” remarked Ross Norman of Sharps Pixley, a London gold brokerage. With the central banks buying gold, albeit slowly and quietly so as not to cause the price to raise, should this be looked at as a enormous hedge against a potential collapse of paper currency? The Central Banks seem to think so. Raising the gold capital adequacy ratio to the first tier. Buying gold like it is going out of fashion. All the indicators are there. Central Banks are returning, quietly, to the gold standard. Now is the time to buy gold, while the price is still low. * Capital adequacy ratio is the ratio which decides the ability of a bank to meet its liabilities in the agreed upon time frame.